www-style@w3.org with subject line "[css3-flexbox] …message topic…"
Tab Atkins Jr., Google Inc. Copyright © 2012 W3C® (MIT, ERCIM, Keio), All Rights Reserved. W3C liability, trademark and document use rules apply. The specification describes a CSS box model optimized for user interface design. In the flexbox layout model, the children of a flexbox can be laid out in any direction, and can "flex" their sizes, either growing to fill unused space or shrinking to avoid overflowing the parent. Both horizontal and vertical alignment of the children can be easily manipulated. Nesting of these boxes (horizontal inside vertical, or vertical inside horizontal) can be used to build layouts in two dimensions. This section describes the status of this document at the time of its publication. Other documents may supersede this document. A list of current W3C publications and the latest revision of this technical report can be found in the W3C technical reports index at http://www.w3.org/TR/. Publication as a Working Draft does not imply endorsement by the W3C Membership. This is a draft document and may be updated, replaced or obsoleted by other documents at any time. It is inappropriate to cite this document as other than work in progress. This document was produced by the CSS Working Group (part of the Style Activity). This document was produced by a group operating under the 5 February 2004 W3C Patent Policy. W3C maintains a public list of any patent disclosures made in connection with the deliverables of the group; that page also includes instructions for disclosing a patent. An individual who has actual knowledge of a patent which the individual believes contains Essential Claim(s) must disclose the information in accordance with section 6 of the W3C Patent Policy. This section is not normative. CSS 2.1 defined four layout modes — algorithms which determine the size and position of boxes based on their relationships with their sibling and ancestor boxes: block layout, designed for laying out documents; inline layout, designed for laying out text; table layout, designed for laying out information in a tabular format; and positioned layout, designed for very explicit positioning without much regard for other elements in the document. This module introduces a new layout mode, flexbox layout, which is designed for laying out more complex applications and webpages. Flexbox layout is superficially similar to block layout. It lacks many of the more complex text or document-formatting properties that can be used in block layout, such as ‘float’ and ‘columns’, but in return it gains more simple and powerful tools for aligning its contents in ways that webapps and complex web pages often need. The contents of a flexbox can be laid out in any direction (left, right, down, or even up! ), can have their order swapped around dynamically (i.e., display order is independent of source order), and can "flex" their sizes and positions to respond to the available space. If a flexbox is multi-line, the flexbox items flow in two dimensions, wrapping into separate lines in a fashion similar to how text is wrapped into multiple lines. Example rendering of the above code snippet, at two different flexbox widths. This module extends the definition of the ‘display’ property. This specification follows the CSS property definition conventions from [CSS21]. Value types not defined in this specification are defined in CSS Level 2 Revision 1 [CSS21]. Other CSS modules may expand the definitions of these value types: for example [CSS3COLOR], when combined with this module, expands the definition of the <color> value type as used in this specification. In addition to the property-specific values listed in their definitions, all properties defined in this specification also accept the ‘inherit’ keyword as their property value. For readability it has not been repeated explicitly. An element with ‘display:flexbox’ or ‘display:inline-flexbox’ is a flexbox. Children of a flexbox are called flexbox items and are laid out using the flexbox box model. Unlike block layout, which is normally biased towards laying things out vertically, and inline layout, which is normally biased toward laying things out horizontally, the flexbox layout algorithm is agnostic as to the direction the flexbox happens to be laid out in. To make it easier to talk about flexbox layout in a general way, we will define several direction-agnostic terms here to make the rest of the spec easier to read and understand. An illustration of the various directions and sizing terms used in this specification, respectively for ‘row’ and ‘column’ flexboxes. The main axis of a flexbox is the axis on which flexbox items are laid out along. The flexbox items are ordered such that they start on the main-start side of the flexbox, and go toward the main-end side. A flexbox item's width or height, whichever is in the main axis, is the item's main size. The flexbox item's main size property is either the ‘width’ or ‘height’ property, whichever is in the main axis. The axis perpendicular to the main axis is called the cross axis, and similarly has cross-start and cross-end directions and sides defined. The width or height of a flexbox item, whichever is in the cross axis, is the item's cross size, and similarly the cross size property is whichever of ‘width’ or ‘height’ that is in the cross axis. The contents of a flexbox can be easily and powerfully manipulated with a handful of properties. Most significantly, flexbox items can "flex" their main size by using the ‘flex’ property. This "flexing" allows the items to get bigger or smaller based on the available space in the page. If there is leftover space in the flexbox after all of the flexbox items have finished flexing, the items can be aligned, centered, or distributed with the ‘flex-pack’ property. Flexbox items can also be completely rearranged within the flexbox with the ‘flex-order’ property. In the cross axis, flexbox items can either "flex" to fill the available space or be aligned within the space with the ‘flex-align’ property. If a flexbox is multi-line, new lines are added in the cross-end direction, and can similarly be aligned, centered, or distributed within the flexbox with the ‘flex-line-pack’ property. You can declare that an element is a flexbox, and thus should use flexbox layout for its contents, by setting the ‘display’ property on the element to the value ‘flexbox’ or ‘inline-flexbox’. The ‘flexbox’ value makes the flexbox a block-level element. The ‘inline-flexbox’ value makes the flexbox an inline-level element. When it is necessary to distinguish them, this specification will refer to the former kind of flexbox as a block flexbox and the latter type as an inline flexbox. all of the ‘column-*’ properties in the Multicol module have no effect on a flexbox. ‘float’ and ‘clear’ have no effect on a flexbox item. Using ‘float’ on an element still causes that element's ‘display’ property to compute to ‘block’, as normal, because that occurs before flexbox items are determined (the algorithm for wrapping children of a flexbox into flexbox items needs the computed value of ‘display’). If an element's specified value for ‘display’ is ‘inline-flexbox’ and the element is floated or absolutely positioned, the computed value of ‘display’ must be ‘flexbox’. A flexbox establishes a new flexbox formatting context for its contents. This is similar to a block formatting context root: floats do not intrude into the flexbox, and the flexbox's margins do not collapse with the margins of its contents. Additionally, each of the flexbox items establish a new formatting context for its contents. Some values of ‘display’ trigger "fixup" to ensure a sensible tree structure. For example, a lone ‘table-cell’ box is fixed up by generating ‘table’, ‘table-row-group’, and ‘table-row’ boxes around it. This fixup must occur before a flexbox's contents are checked to see if it's necessary to generate anonymous flexbox items. In the future, other kinds of fixup such as ‘display:run-in’ or ‘display:ruby’ should also run before flexbox fixup. Notice that block element "not-an-item6.3" is not a separate flexbox item, because it is contained inside an inline element which is being wrapped into an anonymous flexbox item. Similarly, the block element "not-an-item1.5" is not a flexbox item, because it's absolutely positioned and thus out of flow. Absolutely positioned children of a flexbox are not flexbox items, but they leave behind "placeholders" in their normal position in the box tree. These placeholders are anonymous inline boxes with a width and height of ‘0px’, and they interact normally with the flexbox layout algorithm. In particular, they'll trigger the creation an anonymous flexbox item wrapper boxes, or join neighboring inline elements in their anonymous flexbox item wrapper boxes. The "static position" of an absolutely positioned child of a flexbox (the position when the ‘top’/‘right’/‘bottom’/‘left’ properties are ‘auto’), then, is the final position of their corresponding placeholder, after flexbox layout has been performed. Note: In most cases, this means that absolutely positioned items will have no effect on flexbox layout, even if they force the generation of an anonymous flexbox item wrapper, because those wrapper items will also collapse to zero size and have no effect. The only exception is when the flexbox has ‘flex-pack:justify’, in which case the anonymous flexbox item will cause there to be two packing spaces where there would otherwise be only one, which will appear as a double-size space between two "real" items. A flexbox can be either single-line or multi-line, depending on the ‘flex-wrap’ property. A single-line flexbox lays out all of its children in a single line, even if that would cause the flexbox to overflow its bounds. A multi-line flexbox breaks its flexbox items across multiple lines to avoid overflowing, similar to how text is broken onto a new line when it gets too wide to fit on the existing line. Every line contains at least one flexbox item, unless the flexbox itself is completely empty. When additional lines are created, they are stacked in the flexbox in the cross axis. Each line is completely independent; flexible lengths and the ‘flex-pack’ and ‘flex-align’ properties only consider the items on a single line at a time. The main size of a line is the same as the main size of the flexbox's content box. The cross size of a line depends on whether the flexbox is single-line or multi-line: the cross size of the sole line in a single-line flexbox is the same as the cross size of the flexbox's content box, while the cross size of a line in a multi-line flexbox is the minimum size necessary to contain the flexbox items on the line, after aligning them with ‘flex-align’. The lines themselves are then aligned within a flexbox with the ‘flex-line-pack’ property. This example shows four buttons that do not fit horizontally. The buttons are first set to their preferred widths, in this case 80 pixels. This will allow the first three buttons to fit in 240 pixels with 60 pixels left over of remaining space. Because the ‘flex-flow’ property specifies a multi-line flexbox (due to the ‘wrap’ keyword appearing in its value), the flexbox will create an additional line to contain the last button. Flexibility is applied to each element, separately for each line. The first line has 60 pixels of remaining space and all of the buttons have the same flexibility, so each of the three buttons on that line will receive 20 pixels of extra width, ending up 100px wide. The remaining button is on a line of its own and will stretch to the entire width of the line, or 300 pixels. If the box was resized, the buttons may rearrange onto different lines as necessary. Similar to the previous example, the first three buttons will fit on the first line, and the last button will wrap onto a new line. However, when the buttons attempt to flex they can only grow to 90px each, due to their ‘max-width’ property. This leaves 30px of free space on the first line and 210px of free space on the second line. Because ‘flex-pack’ is set to ‘center’, the buttons will be centered on each line, with the free space split equally on either side. The first level of flexbox functionality is the ability to lay out a flexbox's contents in any direction and in any order. This allows an author to trivially achieve effects that would previously have required complex or fragile methods, such as using the ‘float’ property to lay out a horizontal navigation bar (which then requires further effort with the ‘clear’ property or others to make the elements interact nicely with the rest of the page). This functionality is exposed through the ‘flex-flow’ and ‘flex-order’ properties. The ‘flex-direction’ property specifies how flexbox items are placed in the flexbox, by setting the direction of the flexbox's main axis. This affects the direction that flexbox items are laid out in, and the meaning of the ‘flex-pack’ property. The flexbox's main axis has the same orientation as the inline axis of the current writing mode (the direction that text is laid out in). The main-start and main-end directions are equivalent to the "start" and "end" directions, respectively, of the current writing mode. Same as row, except the main-start and main-end directions are swapped. The flexbox's main axis has the same orientation as the block axis of the current writing mode (the direction that blocks are laid out in). The main-start and main-end directions are equivalent to the "before" and "after" directions, respectively, of the current writing mode. Same as column, except the main-start and main-end directions are swapped. 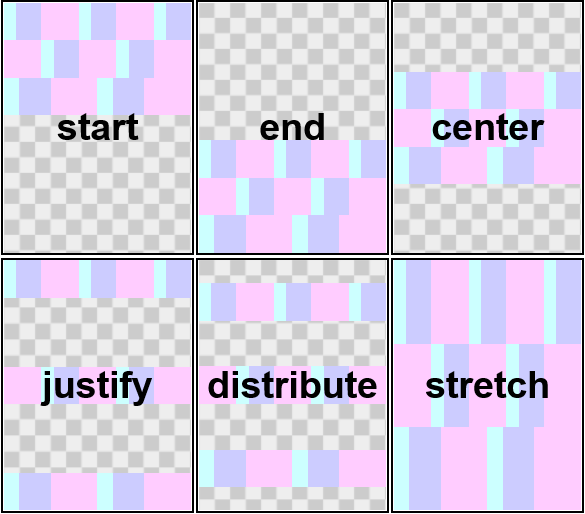 The ‘flex-wrap’ property controls whether the flexbox is single-line or multi-line, and the direction of the cross axis, which affects the direction new lines are stacked in and the meaning of the ‘flex-align’, ‘flex-item-align’, and ‘flex-line-pack’ properties. The flexbox is single-line. The cross-start direction is equivalent to either the "start" or "before" direction of the current writing mode, whichever is in the cross-axis, and the cross-end direction is the opposite direction of cross-start. The flexbox is multi-line. The cross-start direction is equivalent to either the "start" or "before" direction of the current writing mode, whichever is in the cross-axis, and the cross-end direction is the opposite direction of cross-start. Same as wrap, except the cross-start and cross-end directions are swapped. The ‘flex-flow’ property is a shorthand for setting the ‘flex-direction’ and ‘flex-wrap’ properties together. Flexbox items are, by default, displayed and laid out in the same order as they appear in the source document. The ‘flex-order’ property may be used to change this ordering. The ‘flex-order’ property assigns flexbox items to ordinal groups. Ordinal groups control the order in which flexbox items appear. A flexbox will lay out its content starting from the lowest numbered ordinal group and going up. Items with the same ordinal group are laid out in the order they appear in the source document. ‘flex-order’ has no effect on stacking/layering; elements must still be drawn over/under each other based on document order, ‘z-index’, and other relevant means. The defining aspect of flexbox layout is the ability to make the flexbox items "flex", altering their width or height to fill the available space. This is done by using a ‘flex’ property. A flexbox distributes free space to its items proportional to their positive flexibility, or shrinks them to prevent overflow proportional to their negative flexibility. The ‘flex’ property specifies the parameters of a flexible length: the positive and negative flexibility, and the preferred size. <pos-flex> and <neg-flex> are non-negative <number>s. The <pos-flex> component sets the positive flexibility; if omitted, the positive flexibility defaults to ‘1’. The <neg-flex> component sets the negative flexibility; if omitted, it defaults to ‘0’. The <preferred-size> component sets the preferred size. It can be set to any value that would be valid in the ‘width’ or ‘height’ property, except values that are not applicable to a component value (of values defined in CSS2.1, only 'inherit' is not valid for <preferred-size>; in the future other values may be introduced that are not applicable as length component). If omitted, the preferred size defaults to ‘0px’. If set to ‘auto’, the value of ‘width’ or ‘height’ (whichever is in parallel to main axis) is used as preferred size. If the <preferred-size> is ‘0’, it must be specified with a unit (like ‘0px’) to avoid ambiguity; unitless zero will either be interpreted as as one of the flexibilities, or is a syntax error. The keyword ‘none’ is equivalent to "0 0 auto". A ‘<flex>’ value is transitionable, by transitioning the preferred size, positive flexibility, and negative flexibility independently. ‘<flex>’ can also transition to and from a <length>, by treating the length as if it were a flexible length with a positive and negative flexibility of zero and a preferred size of the length. After a flexbox's contents have finished their flexing and dimensions of margin boxes of all flexbox items are finalized, they can be aligned in both the main axis with ‘flex-pack’ and the cross axis with ‘flex-align’ and ‘flex-item-align’. These properties make many common types of alignment trivial, including some things that were very difficult in CSS 2.1, like horizontal and vertical centering. The ‘flex-pack’ property aligns flexbox items in the main axis of the current line of the flexbox. This is done after any flexible lengths and any auto margins have been resolved. Typically it helps distribute extra free space leftover when either all the flexbox items on a line are inflexible, or are flexible but have reach their maximum size, but it also exerts some control over the alignment of items when they overflow the line. Flexbox items are packed toward the start of the line. The main-start margin edge of the first flexbox item on the line is placed flush with the main-start edge of the line, and each subsequent flexbox item is placed flush with the preceding item. Flexbox items are packed toward the end of the line. The main-end margin edge of the last flexbox item is placed flush with the main-end edge of the line, and each preceding flexbox item is placed flush with the subsequent item. Flexbox items are evenly distributed in the line. If the leftover free-space is negative or there is only a single flexbox item on the line, this value is identical to ‘start’. Otherwise, the main-start margin edge of the first flexbox item on the line is placed flush with the main-start edge of the line, the main-end margin edge of the last flexbox item on the line is placed flush with the main-end edge of the line, and the remaining flexbox items on the line are distributed so that the empty space between any two adjacent items is the same. Flexbox items are evenly distributed in the line, with half-size spaces on either end. If the leftover free-space is negative or there is only a single flexbox item on the line, this value is identical to ‘center’. Otherwise, the flexbox items on the line are distributed such that the empty space between any two adjacent flexbox items on the line is the same, and the empty space before the first and after the last flexbox items on the line are half the size of the other empty spaces. 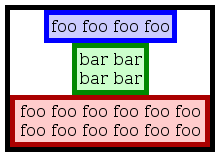 An illustration of the five ‘flex-pack’ keywords and their effects on a flexbox with three colored items. Flexbox items can be aligned in the cross axis of the current line of the flexbox, similar to ‘flex-pack’ but in the perpendicular direction. ‘flex-align’ sets the default alignment for all of the flexbox's items, including anonymous flexbox items. ‘flex-item-align’ allows this default alignment to be overridden for individual flexbox items (for anonymous flexbox items, ‘flex-item-align’ always matches the value of ‘flex-align’ on their associated flexbox). The cross-start margin edge of the flexbox item is placed flush with the cross-start edge of the line. The cross-end margin edge of the flexbox item is placed flush with the cross-end edge of the line. If the flexbox item's inline axis is the same as the cross axis, this value is identical to ‘start’. Otherwise, all flexbox items on the line with an alignment of ‘baseline’ that don't run afoul of the previous paragraph are aligned such that their baselines align, and the item with the largest distance between its baseline and its cross-start margin edge is placed flush against the cross-start edge of the line. If the cross size property of the flexbox item is ‘auto’, it resolves to the length necessary to make the cross size of the item's margin box the same size as the line, while still respecting ‘min/max-width/height’ constraints as normal. An illustration of the five ‘flex-align’ keywords and their effects on a flexbox with four colored items. Margins on flexbox items can be set to 'auto', with effect very similar to auto margins in normal flow. Through calculations of preferred sizes and flexible lengths, auto margins are considered to be zero. Immediately before pack and align steps, if there are any auto margins on items in the direction of alignment and there is positive free space, the free space is distributed equally to the auto margins. If free space was distributed to auto margins, the following pack or align step has no effect. Auto margins can be used for simple alignment or for fine control. Lines are packed toward the start of the flexbox. The cross-start edge of the first line in the flexbox is placed flush with the cross-start edge of the flexbox, and each subsequent line is placed flush with the preceding line. Lines are packed toward the end of the flexbox. The cross-end edge of the last line is placed flush with the cross-end edge of the flexbox, and each preceding line is placed flush with the subsequent line. Lines are evenly distributed in the flexbox. If the leftover free-space is negative or there is only a single line in the flexbox, this value is identical to ‘start’. Otherwise, the cross-start edge of the first line in the flexbox is placed flush with the cross-start content edge of the flexbox, the cross-end edge of the last line in the flexbox is placed flush with the cross-end content edge of the flexbox, and the remaining lines in the flexbox are distributed so that the empty space between any two adjacent lines is the same. Lines are evenly distributed in the flexbox, with half-size spaces on either end. If the leftover free-space is negative or there is only a single line in the flexbox, this value is identical to ‘center’. Otherwise, the lines in the flexbox are distributed such that the empty space between any two adjacent lines is the same, and the empty space before the first and after the last lines in the flexbox are half the size of the other empty spaces. Lines stretch to take up the remaining space. If the leftover free-space is negative, this value is identical to ‘start’. Otherwise, the free-space is split equally between all of the lines, increasing their cross size. Note: Only multi-line flexboxes ever have free space in the cross axis for lines to be aligned in, because in a single-line flexbox the sole line automatically stretches to fill the space. An illustration of the ‘flex-line-pack’ keywords and their effects on a multi-line flexbox. This section contains normative algorithms detailing the exact layout behavior of a flexbox and its contents. The algorithms here were designed to optimize readability and theoretical simplicity, and may not necessarily be the most efficient. Implementations may use whatever actual algorithms they wish, but must produce the same results as the algorithms described here. This note will outline the general structure of the layout algorithm, before I go into the ugly details below, to aid in reading the relatively-long and complex algorithm. Generate anonymous flexbox items as necessary. Reorder flexbox items according to ‘flex-order’. Find the hypothetical main size of every flexbox item. Linebreak the flexbox, if it's multi-line. Based on the hypothetical sizes of the items, find the real main size of the flexbox. Resolve any flexible lengths. All items now have a real main size. Update layout for the items based on their real main sizes, and determine their hypothetical cross size. Find the real cross size of the flexbox and its lines. Align the lines, per ‘flex-line-pack’. Align in the cross axis, per ‘flex-align’. Update layout for the items based on their real cross sizes. Align in the main axis, per ‘flex-pack’. This section is mainly intended for implementors. Authors writing web pages should generally be served well by the individual property descriptions, and do not need to read this section unless they have a deep-seated urge to understand arcane details of CSS layout. Generate anonymous flexbox items around runs of contiguous inline content in the flexbox, as described in the Flexbox Items section. Re-order the flexbox items according to their ‘flex-order’. The items with the lowest (most negative) ‘flex-order’ values are first in the ordering. If multiple items share a ‘flex-order’ value, they're ordered by document order. This affects the order in which the flexbox items generate boxes in the box-tree, and how the rest of this algorithm deals with the items. If item has a definite preferred size, it is the hypothetical main size. In column-direction flexbox, shrink-to-fit size of a flex item along the main axis is the extent in block direction that it gets when laid out using its 'fit-content' as its size in inline direction and using cross-size of flexbox content box as available measure, also as defined in [CSS3-WRITING-MODES]. In multi-line column-direction flexbox, cross-size of the whole flexbox content box is used as available measure, not the share of individual flexbox line, to avoid a circular dependency of line breaks on shrink-to-fit calculations. Do not apply min/max-width/height constraints to the preferred size of flexible lengths - those constraints are handled elsewhere in this algorithm, and doing so will produce incorrect results. If the flexbox is single-line, collect all the flexbox items into a single flexbox line. for ‘min-content’, the maximum line length is the flexbox's minimum main size, constrained by the min and max main size constraints of the flexbox. for ‘max-content’, the maximum line length is infinity, constrained by the min and max main size constraints of the flexbox. for ‘fit-content’, the maximum line length is the greater of the flexbox's min size constraint and the smaller of the flexbox's max size constraint and the available space. Collect as many consecutive flexbox items as possible, starting from the first item, while keeping the sum of their margin-box main size smaller than the flexbox's available space. If a flexbox item is sized with a flexible length, then for the purpose of this step, clamp its size between its minimum and maximum main sizes. The items so collected form a single flexbox line. Repeat the previous step, starting each time from the first flexbox item not yet collected into a flexbox line, until all flexbox items have been collected into flexbox lines. Find the actual main size of the flexbox. If the flexbox's main size doesn't rely on its contents, its actual main size is calculated per the appropriate rules. Otherwise, its main size is the length of its longest line, calculated by summing the main sizes of the margin boxes of each flexbox item in the line, constrained by the flexbox's min and max main size constraints. If any margins are set to 'auto', consider them to be set to zero until resolved in a separate step. Resolve the flexible lengths of the items contained within it. All flexbox items now have a final main size. Update each item's hypothetical cross size based on this main size. Calculate the leftover free-space by subtracting the sum of the margin-box main sizes of the items on the line from the main size of the flexbox's content box. If leftover free-space is positive and any items on this line have at least one main-axis margin set to 'auto', distribute the leftover free-space equally to these margins. If leftover free-space is negative, any main-axis 'auto' margins on items in this line are set to zero. Align the items along the main axis per ‘flex-pack’. If the flexbox is single-line and has a definite cross size, the single flexbox line's cross size is the cross size of the flexbox's content box. End this step of the algorithm. If main axis is parallel to inline axis, collect all the flexbox items with a ‘flex-item-align’ of ‘baseline’. Find the maximum of the distances from their baseline to the cross-start edge of their margin box, and the maximum of the distances from their baseline to the cross-end edge of their margin box. Sum these two values. For remaining flexbox items, find the maximum of the cross sizes of their margin boxes. The cross size of the flexbox line is the larger of the numbers found in the previous two steps. If the flexbox is multi-line, has a definite cross size, 'flex-line-pack' is set to 'stretch' and sum of cross size of all lines is less than cross size of content box, increase cross size of each line by equal amount to exactly match the cross size of content box. If the flexbox doesn't have a definite cross size, the cross size of its content box is the sum of the cross sizes of all of its lines. Determine the final cross size of each flexbox item. If a flexbox item has ‘flex-item-align:stretch'' and its preferred cross size is 'auto' and its margin-box cross size is smaller than cross-size of its flexbox line, its final cross size is set so that its margin-box cross size is equal to cross-size of its flexbox line. For all other flexbox items, its final cross size is its hypothetical cross size. If the resulting cross size of any item conflicts with 'min-width', 'max-width', 'min-height' or 'max-height', correct the result to comply with the restrictions. Resolve 'auto' margins on cross axis. For each flexbox item, if its margin box cross size is smaller than cross size of its line and it has any margins in cross direction set to 'auto', distribute the difference equally to the auto margins. For each flexbox line, align the flexbox items per 'flex-item-align'. Align the flexbox lines per 'flex-line-pack'. The leftover free-space is calculated by subtracting the sum of the flexbox line's cross sizes from the cross size of the flexbox's content box. Layout all items again in their final size and position. Implementations can determine when this step is needed and how it can be optimized, but for precise results it has to be assumed that this step is performed. Add margin-box hypothetical main sizes of all items, adjusted for min/max. If the sum is less than available space, use positive flexibility, otherwise use negative flexibility. Find free space by subtracting sum of margin-box main sizes of flexbox items from available space. Adjust each flexible item for min/max. If the size has changed, it is a violation. The violation may be positive (min violation) or negative (max violation). Accumulate the difference. Freeze items with max violations, and return to step 2. Freeze items with min violations, and return to step 2. For the purposes of this algorithm, measurements are considered definite if their precise value is known before the start of the algorithm. For example, sizes in pixels or inches are always definite; 'auto' and percent may or may not be definite, which depends on how these values were handled before this algorithm is applied. Flexboxes can break across pages between items, between lines of items (in multi-line mode) and inside items, as long as 'break-' property allow that. All 'break-' properties are supported on flexbox, on flexbox items and inside flexbox items. The following breaking rules refer to fragmentation container as “page”. The same rules apply to any other fragmenters. Change “page” to the appropriate fragmenter type as needed. Break-before, break-after, break-inside properties on flexbox itself have effect as normal. If breaks inside flexbox are allowed, break points are determined using following rules. If flexbox continues from previous page: the size of available space. If as a result of this adjustment block-direction size of flexbox becomes negative, it is set to zero. Otherwise, it may be broken, according to breaking rules and algorithms applicable to its display type. If flexbox main-axis size is definite, flexbox algorithm must be run first, without constraints of available space on page and using all content of the flexbox. Otherwise flexbox items use the preferred size, adjusted for min/max. If page size varies and flexbox size depends on page size, this step has to be repeated on each page, again with the whole content of the flexbox. Set of items that will fit on current page is determined by adding main-axis margin-box sizes of flexbox items until total size exceeds available space or a forced break is encountered. Items that fit on a page completely or partially are aligned according to ‘flex-pack’ property, independently from the rest of flexbox content. Note that flexible lengths are not recalculated on each page, even if there is additional free space. It is the intent of this spec that column-direction single-line flexbox paginates very similarly to block flow. As a test of the intent, a flexbox with "flex-pack:start" and no flexible items should paginate identically to a block with non-floating children with same content, same used size and same used margins. This rule is simplified and not normative, but if there is any difference it should be noted here. Items are collected in lines and laid out as usual, but in available space on current page. If the flexbox is not at the top of the page, it is moved to the next page. If the flexbox is already at the top of the page, the item may produce overflow. If 'overflow' property of the flexbox is set to 'visible', it is paginated using same rules as visible overflow of blocks in normal flow. After the break, continuation of overflow items may overlap with other items and/or content after the flexbox. It is undesirable but there is no good resolution for this spacial conflict and this outcome is similar to effect of "overflow:visible" elsewhere. Main-axis space distribution in each line is done based on complete content of the flexbox and without space constraint in block direction. If page size varies and flexbox size depends on page size, this step needs to be repeated on each page. Flexbox items are sized and positioned as usual, but in block-direction available space of min(remaining available space in flexbox, remaining space on the page). Any items with baseline alignment must be aligned before considering breaks inside items. Items that have fit completely on a previous page and items that are pushed to next page don’t have any rendering, leaving empty space as needed. For the purposes of cross-axis alignment, minimum of remaining available space in flexbox and available space at current page is used. If an item is broken in the previous step and its alignment is not baseline, its cross-axis margin-box size is set to available space. If item alignment is baseline, its cross-axis size is adjusted so that it extends to exactly the end of available space. If 'flex-line-pack' is 'stretch' and flexbox size in block direction is definite, layout of the complete flexbox has to be done first to determine line heights. Layout is done as usual for non-paginated case, but accounting for forced breaks. If page size varies, this step may have to be redone, again with complete content; special consideration should be to be given to line breaks to ensure that item at the start of current page is also at the start of a line in this hypothetical layout. This specification currently doesn't define how exactly to achieve that. Otherwise, items are collected into lines and each line is laid out as a single-line flexbox to determine block-direction size of each line. Breaks inside items (forced or unforced) are not allowed. If size of flexbox in inline direction is not definite, multi-line layout algorithm is run using the set of items that have fit on the current page. 'Flex' property is currently defined as shorthand only, combining three values. When queried from OM, it is seen as a string with up to three values, which can be very complicated to deal with properly. Conformance requirements are expressed with a combination of descriptive assertions and RFC 2119 terminology. The key words “MUST”, “MUST NOT”, “REQUIRED”, “SHALL”, “SHALL NOT”, “SHOULD”, “SHOULD NOT”, “RECOMMENDED”, “MAY”, and “OPTIONAL” in the normative parts of this document are to be interpreted as described in RFC 2119. However, for readability, these words do not appear in all uppercase letters in this specification. This is an example of an informative example. Note, this is an informative note. A UA that interprets the semantics of a style sheet and renders documents that use them. A UA that writes a style sheet. A style sheet is conformant to CSS Flexbox Layout Module if all of its statements that use syntax defined in this module are valid according to the generic CSS grammar and the individual grammars of each feature defined in this module. An authoring tool is conformant to CSS Flexbox Layout Module if it writes style sheets that are syntactically correct according to the generic CSS grammar and the individual grammars of each feature in this module, and meet all other conformance requirements of style sheets as described in this module. So that authors can exploit the forward-compatible parsing rules to assign fallback values, CSS renderers must treat as invalid (and ignore as appropriate) any at-rules, properties, property values, keywords, and other syntactic constructs for which they have no usable level of support. In particular, user agents must not selectively ignore unsupported component values and honor supported values in a single multi-value property declaration: if any value is considered invalid (as unsupported values must be), CSS requires that the entire declaration be ignored. To avoid clashes with future CSS features, the CSS2.1 specification reserves a prefixed syntax for proprietary and experimental extensions to CSS. Prior to a specification reaching the Candidate Recommendation stage in the W3C process, all implementations of a CSS feature are considered experimental. The CSS Working Group recommends that implementations use a vendor-prefixed syntax for such features, including those in W3C Working Drafts. This avoids incompatibilities with future changes in the draft. Once a specification reaches the Candidate Recommendation stage, non-experimental implementations are possible, and implementers should release an unprefixed implementation of any CR-level feature they can demonstrate to be correctly implemented according to spec. 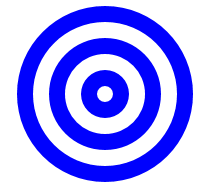 To establish and maintain the interoperability of CSS across implementations, the CSS Working Group requests that non-experimental CSS renderers submit an implementation report (and, if necessary, the testcases used for that implementation report) to the W3C before releasing an unprefixed implementation of any CSS features. Testcases submitted to W3C are subject to review and correction by the CSS Working Group. Further information on submitting testcases and implementation reports can be found from on the CSS Working Group's website at http://www.w3.org/Style/CSS/Test/. Questions should be directed to the public-css-testsuite@w3.org mailing list. each implementation must be developed by a different party and cannot share, reuse, or derive from code used by another qualifying implementation. Sections of code that have no bearing on the implementation of this specification are exempt from this requirement. passing the respective test case(s) in the official CSS test suite, or, if the implementation is not a Web browser, an equivalent test. Every relevant test in the test suite should have an equivalent test created if such a user agent (UA) is to be used to claim interoperability. In addition if such a UA is to be used to claim interoperability, then there must one or more additional UAs which can also pass those equivalent tests in the same way for the purpose of interoperability. The equivalent tests must be made publicly available for the purposes of peer review. is available to the general public. The implementation may be a shipping product or other publicly available version (i.e., beta version, preview release, or “nightly build”). Non-shipping product releases must have implemented the feature(s) for a period of at least one month in order to demonstrate stability. is not experimental (i.e., a version specifically designed to pass the test suite and is not intended for normal usage going forward). The specification will remain Candidate Recommendation for at least six months. Thanks for feedback and contributions to Andrew Fedoniouk, Arron Eicholz, James Elmore, Ben Horst, Boris Zbarsky, Brad Kemper, Brian Heuston, Christian Stockwell, Christoph Päper, Daniel Holbert, Erik Anderson, Eugene Veselov, Fantasai, John Jansen, Markus Mielke, Ning Rogers, Ojan Vafai, Peter Salas, Phil Cupp, Robert O'Callahan, Rossen Atanassov, Shinichiro Hamaji, Tony Chang. break inside a flexbox item is considered, 10. Forced breaks on flexbox items, 10.
resolve the flexible lengths, 9.